Thorndale Red Line Robbery, Suspects Flee Reviewed by Edgeville Buzz on March 26, 2009 . 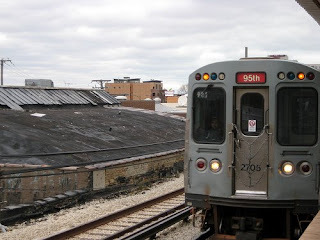 Two or three suspects tried to rob someone early Tuesday morning on either the train or the platform of the Red Line at Thorndale in Edgewater. When police responded, one man fled and apparently fell through a skylight of a nearby building. Despite having canine units on the scene, the suspect did not turn up after a complete search of the building where it is believed the suspect fell. The other two suspects may have escaped by taking the Red Line train.